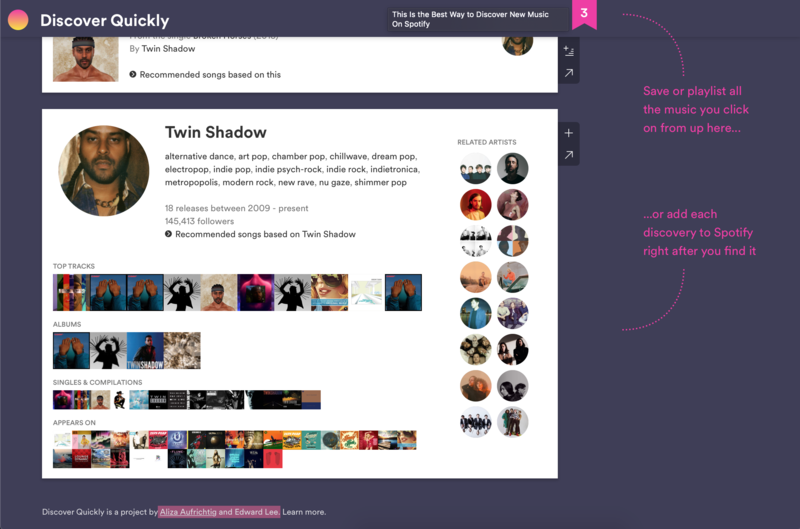 Users can sign into their Spotify account on the web and the app lays out their playlists in a visual grid of album covers. When you place your mouse over a song’s cover, the app begins playing that song from its mid-point. It makes sampling a lot of music really quick and fluid. If you click on a song, the app opens up the artist’s Spotify page in another section below the main list, but it still only consists of album covers that you can hover over. Once you click on a song you like, there are three tabs on the side that allow you to either add it to a playlist, save it to your library or open the song in the full Spotify app. Clicking on a song also adds it to a temporary list that users can export to make into a quick playlist. 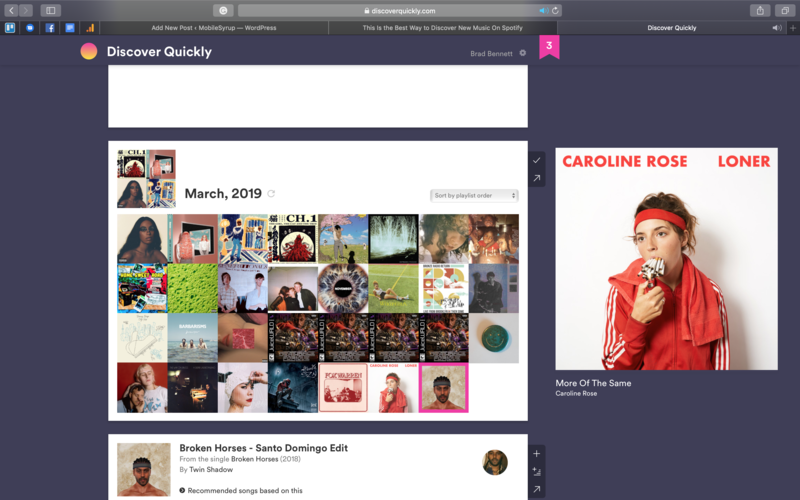 Everything within Discover Quickly can be done in the regular Spotify app, but the web app makes these tasks a lot quicker.